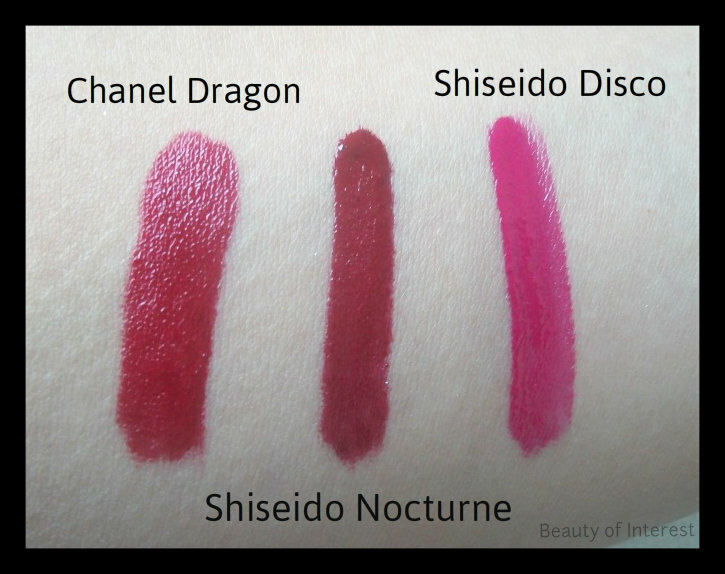 Suqqu #14 Kosumosuiro quad (from the fall 2012 collection). 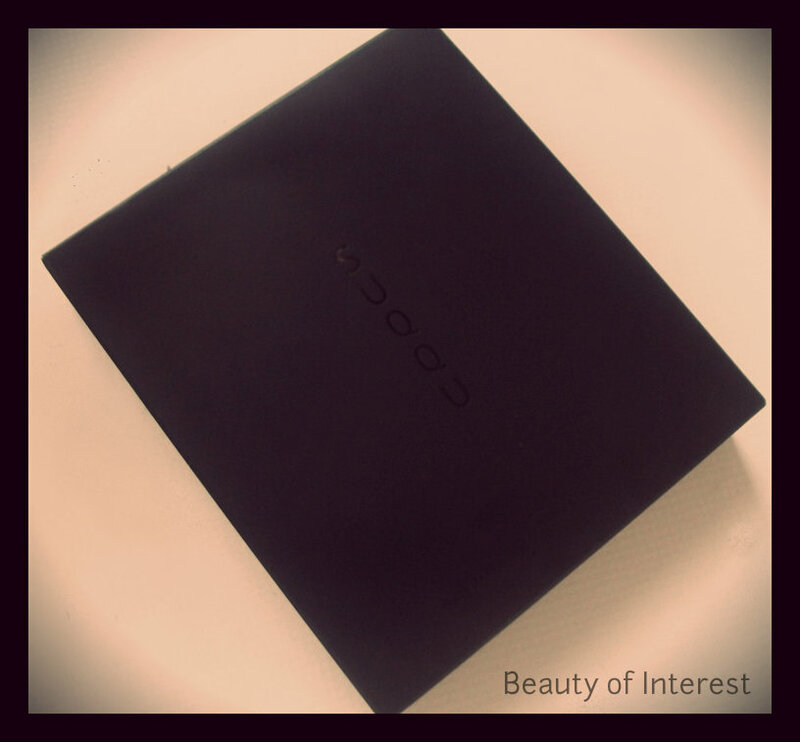 Today I have a little surprise to show you: the Suqqu #14 Kosumosuiro! 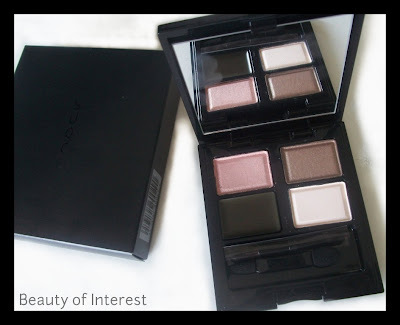 Suqqu has recently launched 3 new quads (of which 1 will be limited edition) for fall 2012, together with 5 new l/s, 2 new limited edition duo blushes, a pink loose powder and a new eye balm. You're probably wondering what's so special about these quads. Unlike the other permanent palettes, these 3 new quads have a cream eyeshadow in them which can double up as a liner too. 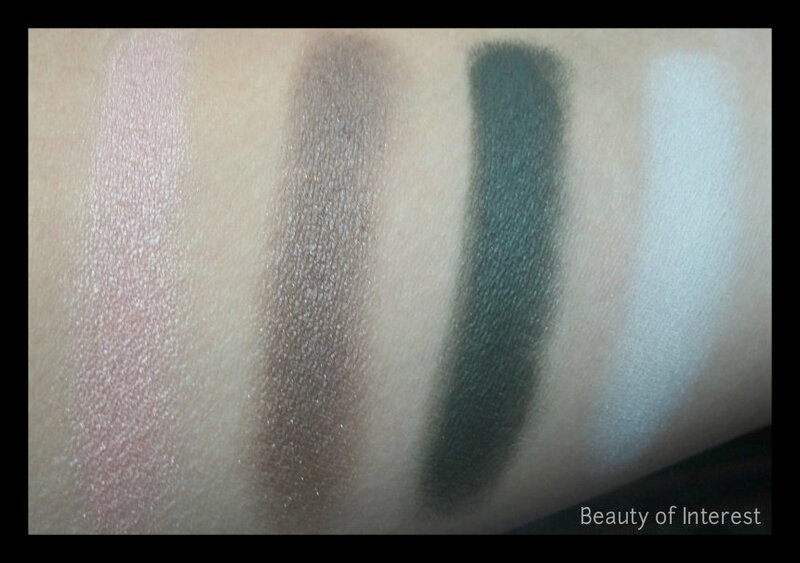 The texture of the green cream eyeshadow is very creamy and not difficult to blend with. 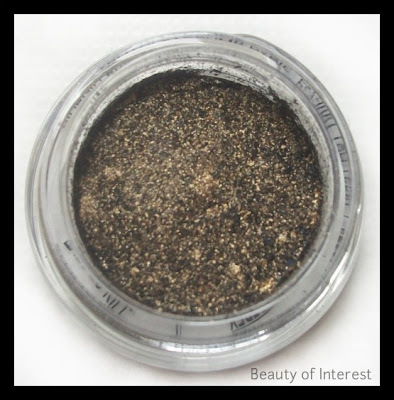 It doesn't apply patchy but an eye primer is needed to make it last longer. 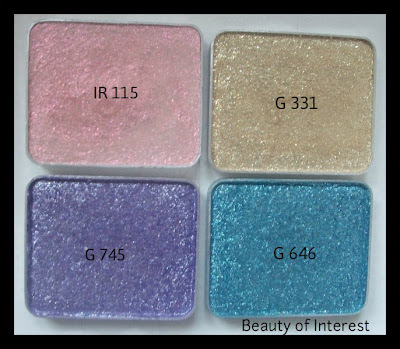 As mentioned before, the other shades are regular powder eyeshadow and have the same quality as the other Suqqu eyeshadows. 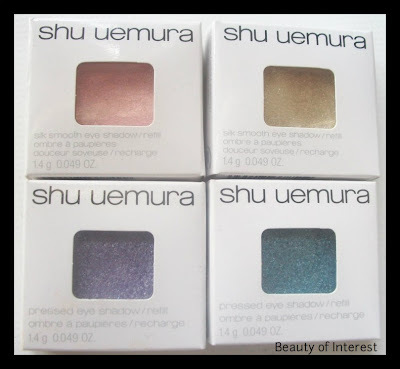 Texture is very refined and the shimmers (usually 2 of the 4 eyeshadows are shimmery while the other 2 are matte colors) in it are very subtle but gives a gorgeous finish nonetheless. 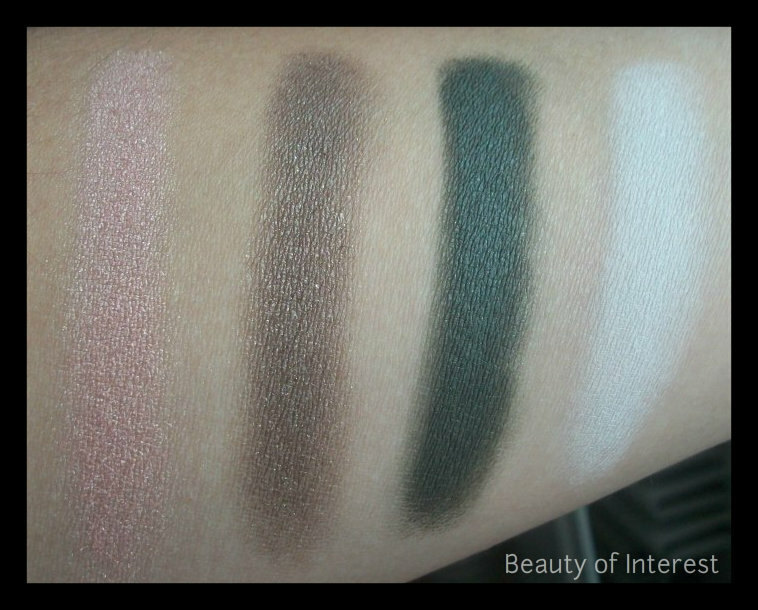 I did 2 look with this quad and I really find this to be a great everyday neutral quad with the dark forest green shade that will give a 'pop' to make the whole look less boring. 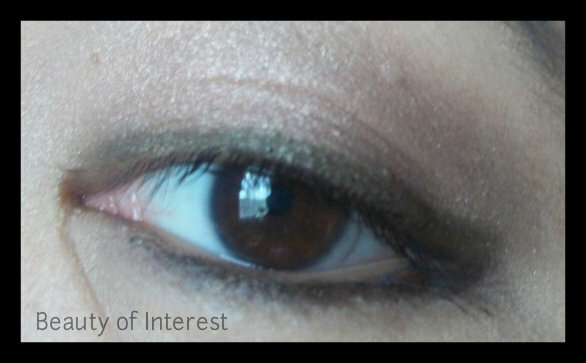 The first looks is a simple wash of the neutral taupe shade on the eyelid with the dark green cream eyeshadow as a liner. 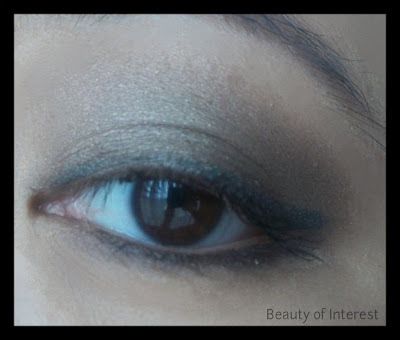 For the second look I use the dark green cream eyeshadow as a base all over the eyelid. 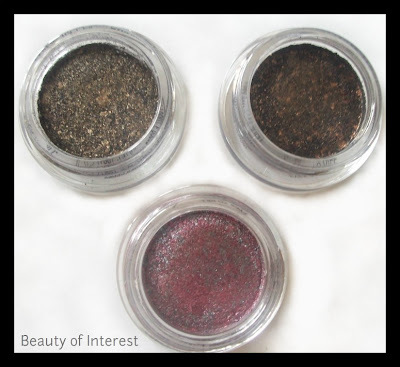 The pink color on the inner 1/3 of the eyelid and the taupe color in the outer 1/3 of the eyelid and in the crease as well. The matte white shade I used as a highlighter under the eyebrows. The Suqqu fall collection already came out in Japan on the 10th of August and will also be available in the UK at Selfridges on the 30th of August. 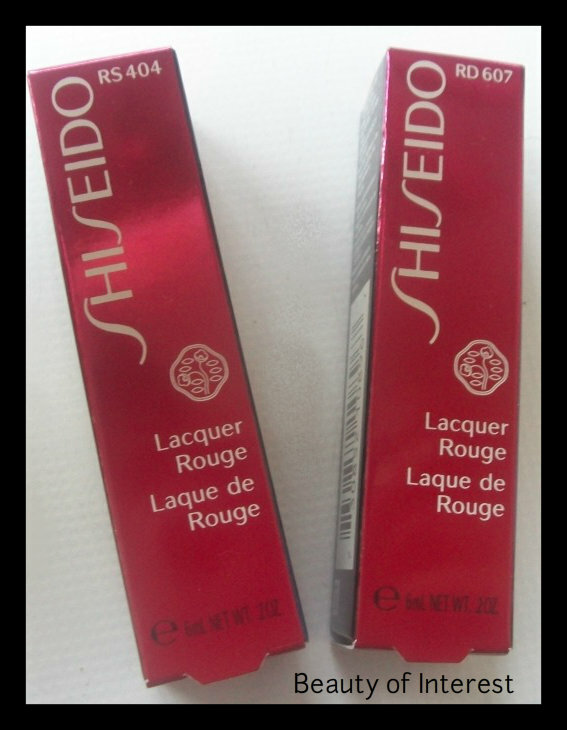 So one of the newest rave in beauty community are the new Shiseido Lacquer Rouges that came out a few month ago. It's supposed to a lipstick and a lipgloss all in one. 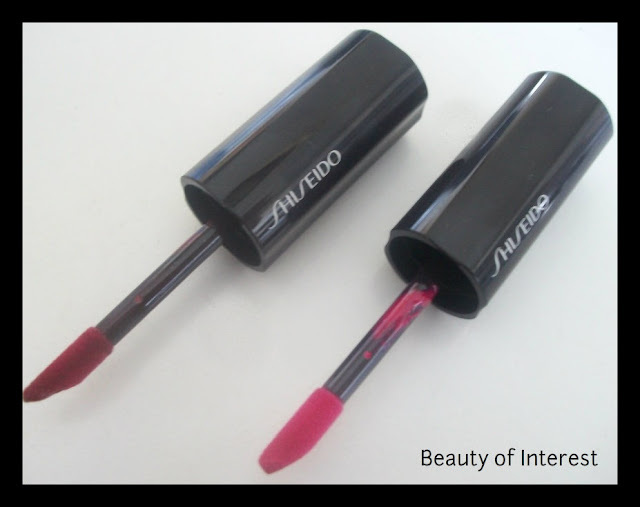 The texture is not as dry as a regular lipstick and it gives a shiny finish just like a gloss. There were 8 shades released world wide and I know that that Shiseido also made 4 Asia exclusive shades as well that can not be found in Europe or in the US. From the 8 shades I only got 2, the RS 404 (Disco) and the RD 607 (Nocturne). Disco is a bright candy pink color and although it looks scary in the tube, it's actually pretty wearable. 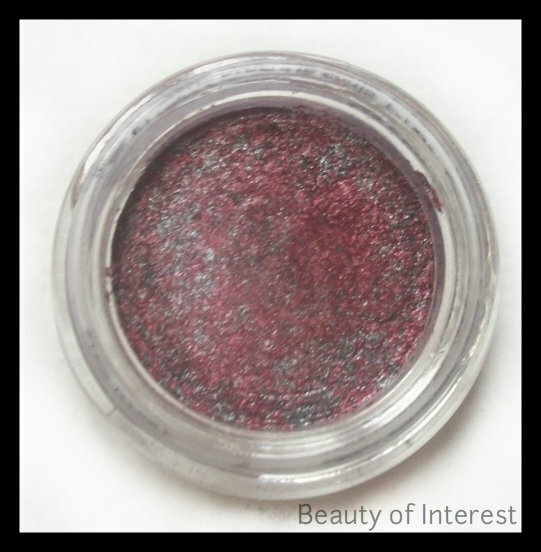 Nocturne is a true blood red shade that can easily be worn for a night out or sheered out a little to wear during the day. Here are some swatches. I thought Nocturne would be a good dupe for the (now discontinued) Chanel Dragon Rouge Allure Laque but as you can see on the picture below, Dragon is more blue based and not as dark compared to Shiseido Nocturne. The texture is kind of thick and very opaque. It does have a bit of a sticky feeling to it but not as sticky like regular lipgloss. 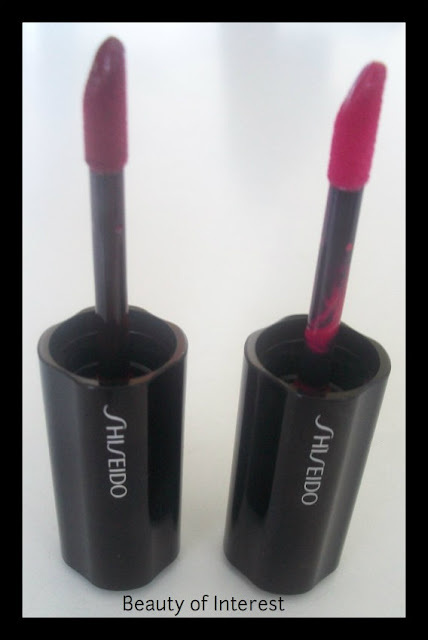 It doesn't have a slip to it so it will stay on your lips better without bleeding or feathering. When the color fades, it leaves a stain behind that will last for hours if you don't drink or eat. 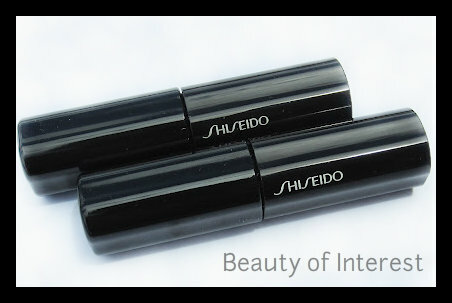 The lip lacquers do have a slight smell to it but nothing overpowering (even for the most sensitive noses). It seems to be an upcoming trend for this fall because Guerlain just recently released some lip lacquers too of their own for this upcoming fall. 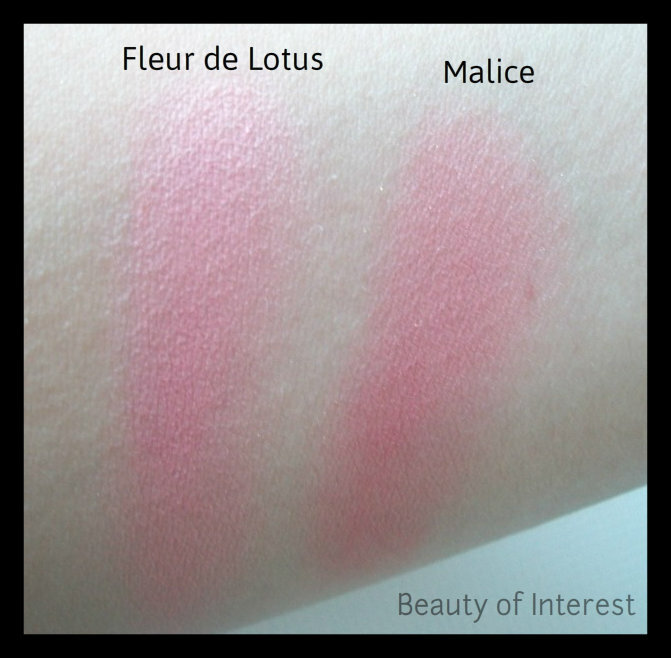 I will do a battle of the lip lacquers soon to see how these lip lacquers compare to the other ones that have been released. So definitely stay tuned for that! 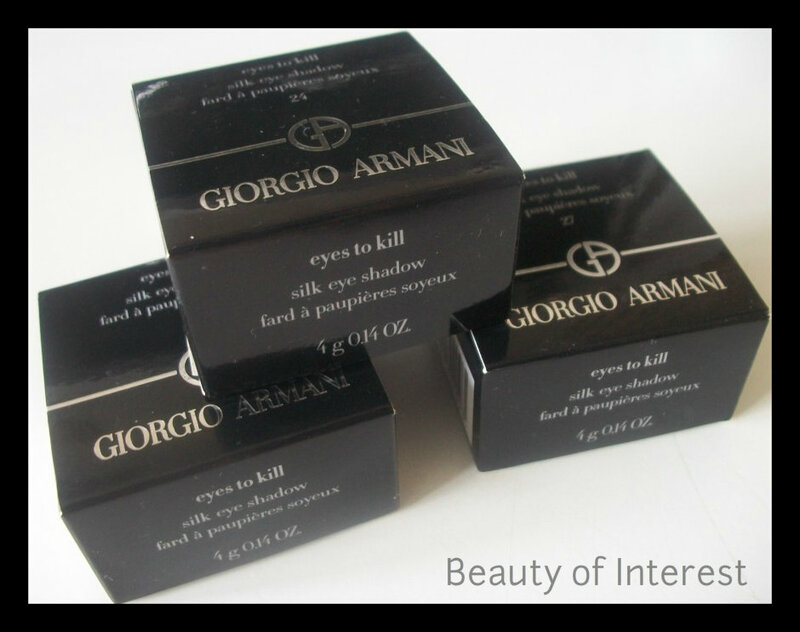 Giorgio Armani new Eyes to Kill for Summer 2012! 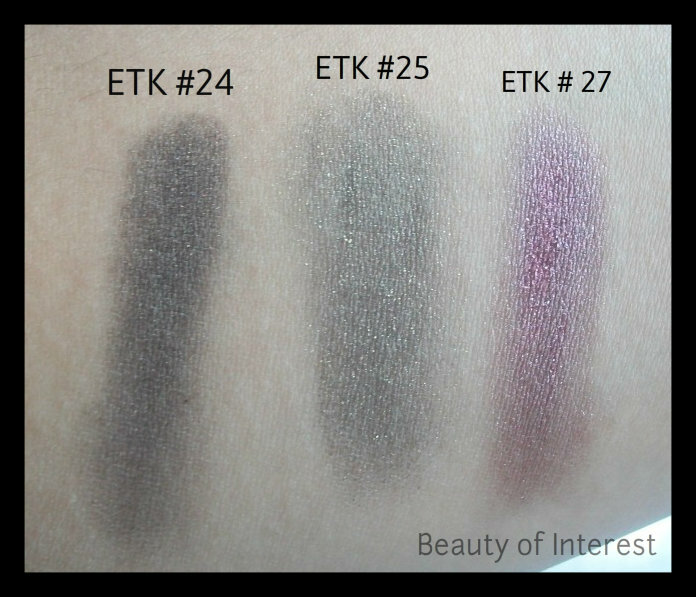 This is already old news and I'm sure most of you have seen these ETK's at the counters already but I thought I would do a separate blog post about it anyway. So Giorgio Armani has released new Eyes to Kill shades for this summer of 2012. 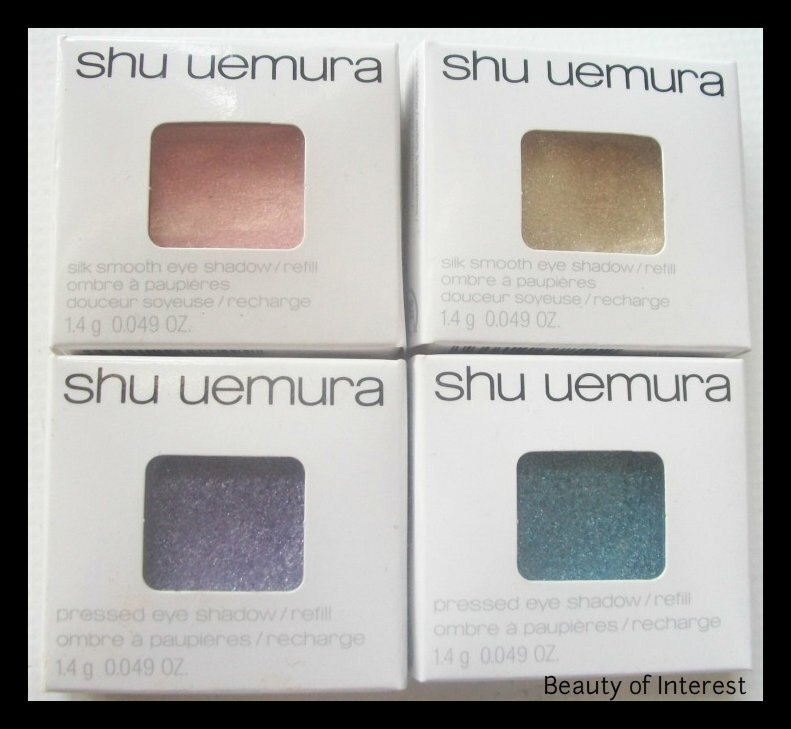 All of these are limited edition so if you have a counter near you, I highly do recommand to check out these shades. 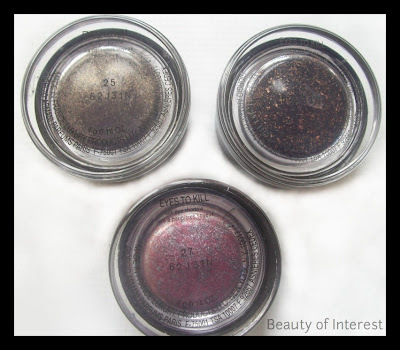 I only got 3 of the 6 new Eyes to Kill shades so I will do a little overview of them. From what I can already is that the new shades are not as complex as the ones in their regular range. The ETK #24 is a black golden shade which can be worn individually or paired with another lighter eyeshadow color. Perfect for a easy smokey eye look by applying this as a wash of color on the eyelids. Next one I got is the ETK # 25 and this reminded me a lot of the ETK #14 in their permanent range. 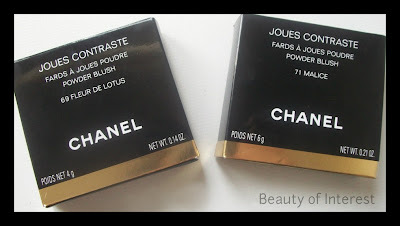 I heard that #14 is not sold everywhere (like for example they don't carry #14 in the US). 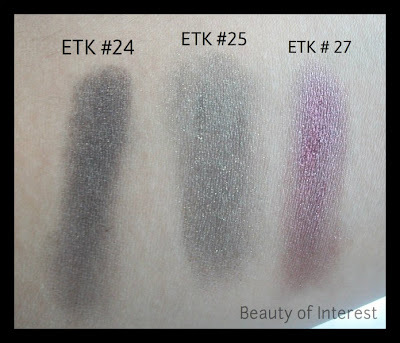 So if you have been looking for that particular shade and couldn't find it, the ETK #25 would be an excellent substitute. 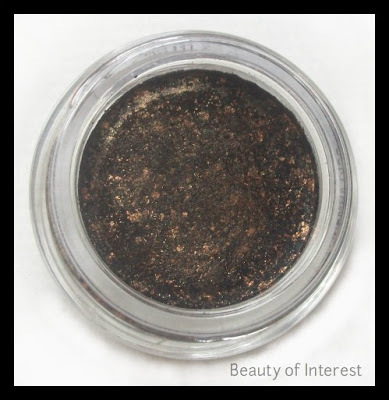 This shade has more of a golden undertone with a hint of black in it compared to #24 and it would be look stunning with any green or olive shade eyeshadow or just on its own. The next and last ETK is probably the most unique one of the 6 (and my personal favorite) and it's #27. A gorgeous purple color with subtle silver shimmer in it. 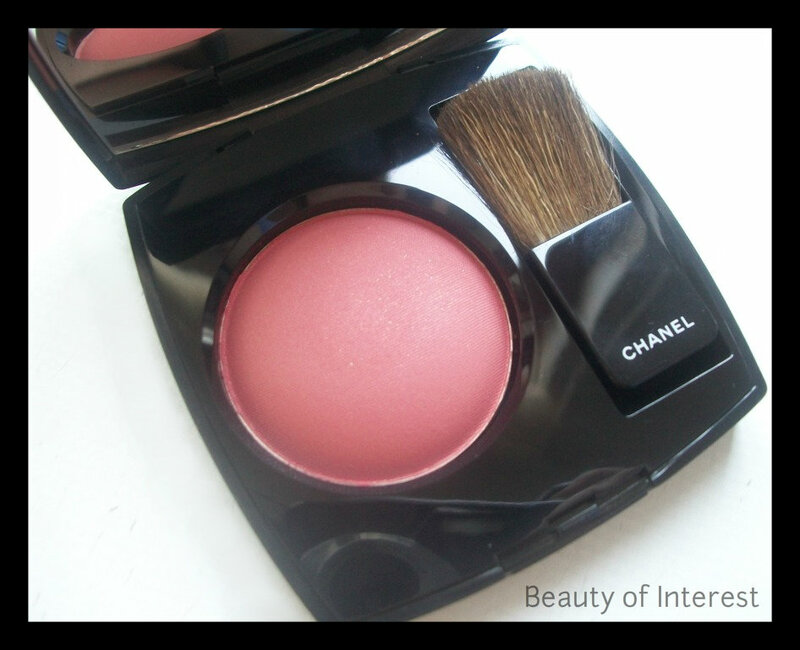 I find this shade to be the most complex of the new shades that has been released. 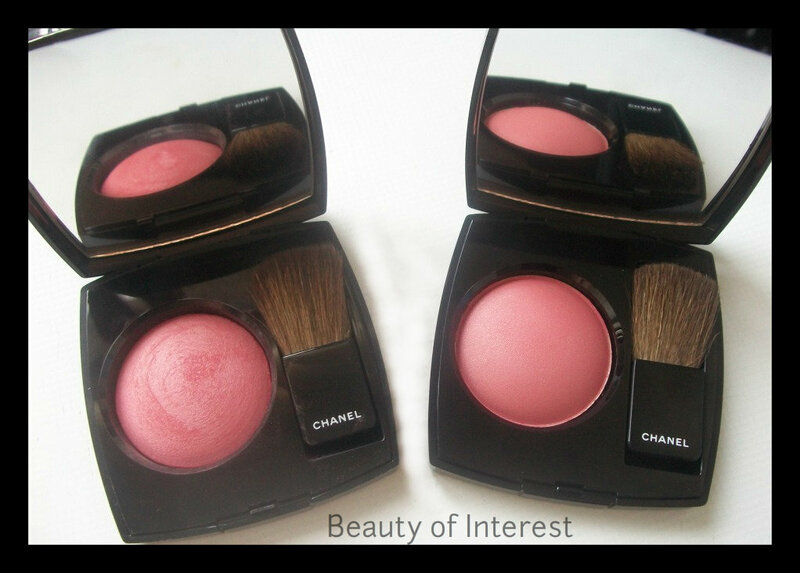 It' definitely more cool toned compare to the other colors but I can see this work on almost all skintone. Here are some swatches that I did of the new ETK colors to give you an idea of how it looks when applied. I find the texture of the Eyes to Kill shadow to be very smooth and silky. 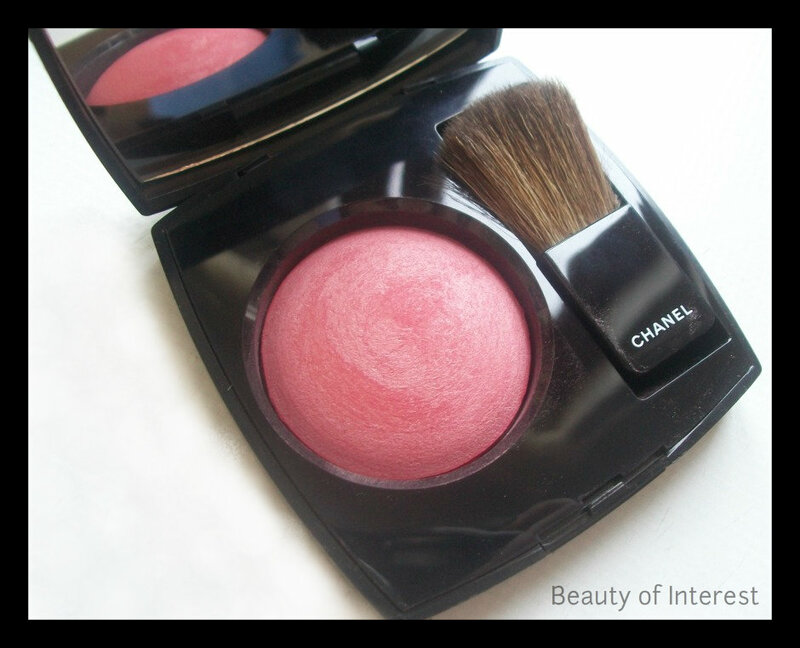 It can be applied with the fingers and it blends very easily. A good drugstore dupe is the L'Oreal Infaillable eyeshadows and this shouldn't be a surprise for all the beauty addicts out there. L'Oreal owns Giorgio Armani cosmetics and also manufactures their make up line. 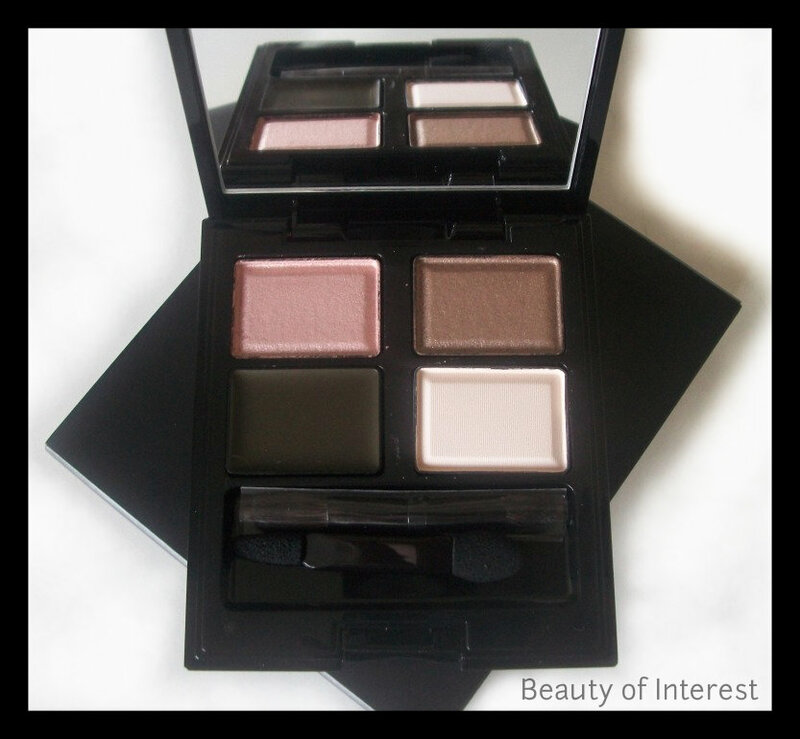 But the Infaillable colors are not that complex compared to the Armani ETK's but the texture really is amazing, almost superior to the Armani ones in terms of pigmentation. I will do a proper comparison soon. 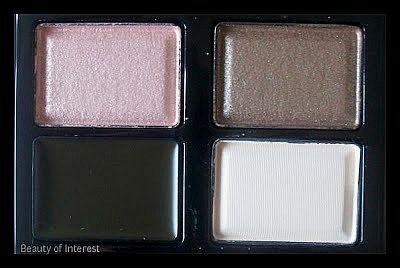 To wrap this up, the new shades are nice but the shades are not really special or complex (except for #27) but for those who don't own colors similar to these, I would definitely check these out at the Armani counter.